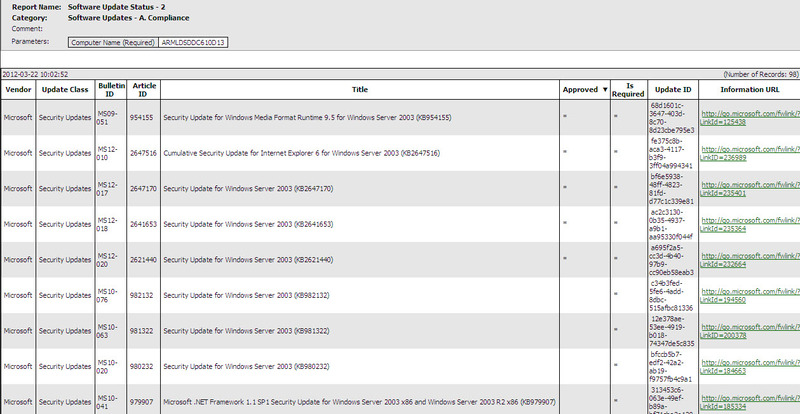 Here’s some reports that I use to monitor the level of compliance for security updates by collection. Also it’s possibe to drill down and see which security updates is missing. thanks to Garth Jones and Anoop for sharing these informations, which has been very helpfull when I have created those reports.